A high-end regulator pin: Swan-neck regulator. Swan neck, a collet fixing the end of the hairspring, can produce aesthetic effect. 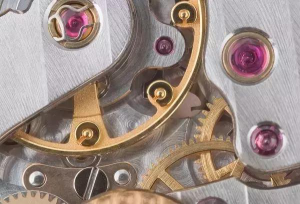 Patek Philippe, Vacheron Constantin and Chopard has applied swan-neck regulator to their in-house mechanical movements. Swan-neck regulator has three effects. First, it can stick the regulator clip tightly. Second, it can ensure accuracy be adjusted to a satisfying and accurate range. Third, it embodies the heritage of decoration and the culture of watchmaking, and it is also a symbol of the advanced watch. Besides, snail-shaped regulator has been applied to the pocket watch. 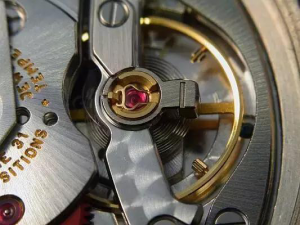 To control vibration period of balance wheel by adjusting the length of hairspring is simple and effective. Swan-neck regulator does well in solving displacement of balance spring holder. 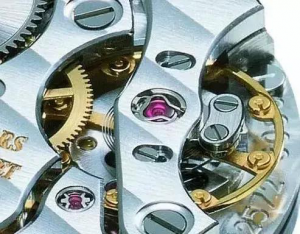 Under violent vibration, the malposition of hairspring controlled by regulator clip and hairspring stud will cause the deflection. The puzzle has been overcome. Swan-neck regulator was applied for a patent in Munich, Germany and numbered “EP2290477”. 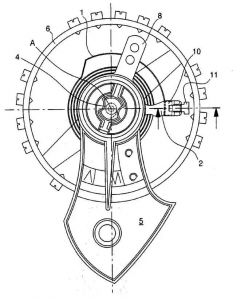 Free Sprung balance has better stability and isochronism than regulator pin.If I have to look for a flaw, the collocation of free sprung balance and Breguet spring will make the balance wheel higher above 1 millimetre. 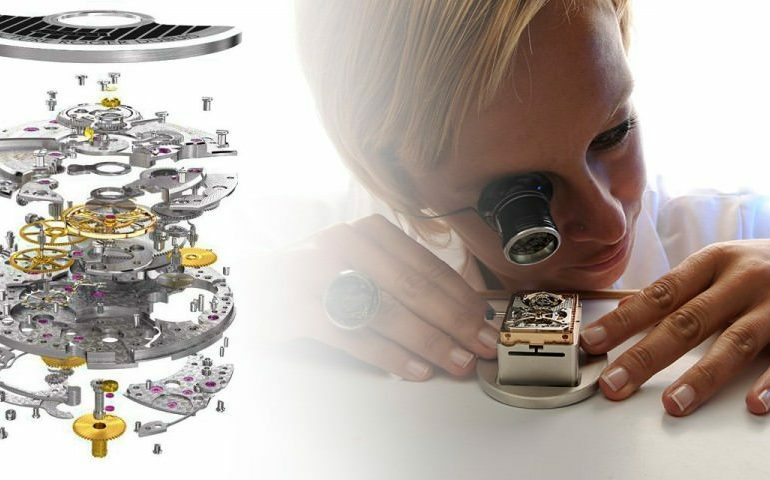 Free Sprung regulating tool is to adjust vibration period by adjusting wheel weight.It mainly includes Rolex Microstella and Patek Philippe Gyromax. When it come to Free-sprung, U-shaped Gyromax weights in gold from Patek Philippe occurs to me. 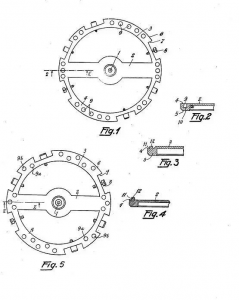 The Gyromax regulating tool has been used for more than 60 years. To rotate the gap toward the central axis of the balance can make the watch go slow. The number of weights is eight generally, and there’re 4 and 6 weights. PP Calibre CH 28-520 has silicon balance wheel with 4 weights in gold. Don’t look down these weights, they can affect amplitude to 180 degrees, practical, reliable, beautiful. 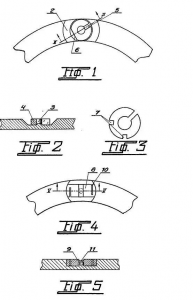 On August 18, 1948, Patek Philippe applied for two patents: CH280067 and CH261431. CH280067 is on how U-shaped weights were assembled on the balance. At that time, weights were set in the flutes so that it can reduce air friction. The setting is similar to Chopard’s flyer”variner”. With the progress of technology, the difficulty of processing and manufacturing has been reduced. CH261431 is on the specification design for U-shaped weights. In fact, Rolex Microstella has a longer history than Patek Philippe Gyromax. During the World War Ⅱ,Rolex applied for a patent No.CHX2239668 which was invented by AEGLER HANS HERMANN, an early partner of Rolex. Rolex ordered movements from him at that time. 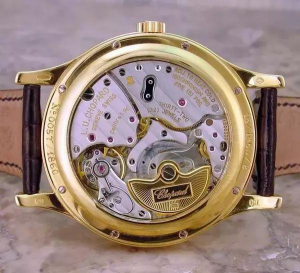 The edge of the balance wheel was assembled with lead screws and nuts in gold.With the development of technology, Microstella regulating is designed in its interior side. 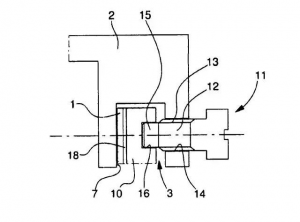 The two patents have 20-year period of validity. 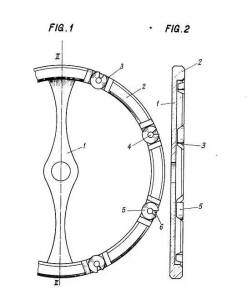 After that, any of watch brands can use these patents.